Will the Scottish-English border look like this? 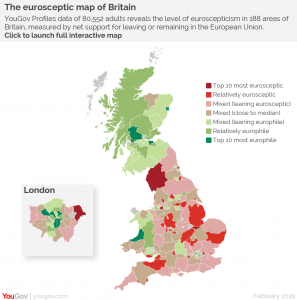 Scotland is much more pro-EU than England. I have the impression that my friends and family in Denmark are surprised that I haven’t been campaigning harder to remain in the EU, and I must admit that I had expected to be more active. However, I’ve realised it’s really hard to have a good argument about something when everybody in the (physical or virtual) room agrees with you. The independence referendum campaign was great because there were so many views and a real willingness to discuss them. I can see there are genuine discussions down in England about what to do — for some people it seems to be almost as inspiring as the independence referendum was north of the border — but up here most people are simply watching the Johnson, Gove and Farage show with dread and fear. I don’t think this blog has many Eurosceptic readers, so writing about Brexit feels like preaching to the converted. It’s such a shame we lost the independence referendum, because it means we have to spend our time debating the issues that interest the Tories in England, and indeed it’s looking increasingly likely that the Little Englanders will drag Scotland kicking and screaming out of the EU. It’s so frustrating.